 Welcome to Central Library at PDM Group of Institutions, A well-stocked Library has been established in the heart of PDM campus in 1999 for the benefits of students and staff. The state-of-the-art Central Library is housed in a three-storey building. Library remains open on all working days from 9 A.M. to 5 P.M. Books are issued / returned from 9 AM to 3 PM. Total staff members working in the library are nine. The Library is fully automated. The database of Library documents has been prepared using e-Granthalaya Software .The software providing following modules and facilities. Catalogue search: catalogue is arranged according to Dewey decimal classification. Each row of the racks has been labelled with the range of class numbers in the corresponding row. CD-ROM Search:CD-ROMs are available on technical and non-technical subjects. Internet Facility: This facility is available in all working hours. Reprographic Service: Library provides Reprographic service to its users in the library. The advantage of this facility is that it minimizes the chances of tearing page from books. Circulation Service: This is most popular service, which is concerned with Issue and Return of books and other reading materials. Library has computerized circulation System. Reference Service: Journals, Magazines, Newspapers, Encyclopedias, Dictionaries, Handbooks, Reference Books, Textbooks etc. kept in the reference section. These can be referred to, inside the library only. Book Bank Membership:Students who wish to become member of the book bank, are required to deposit the requisite amount. The Book Bank Members are provided all their text books for each semester free of cost. In addition to this the graduate students are issued two books and the postgraduate students are issued four books for 14 days at a time. Ordinary Membership: The students who are not members of the book bank may obtain membership of the library by depositing requisite amount. Library Automation System & Database for Library: The Library is fully automated. The database of Library documents has been prepared using e-Granthalaya Software .The software providing following modules and facilities. Library provides Reprographic service to its users in the library. The advantage of this facility is that it minimizes the chances of tearing page from books.